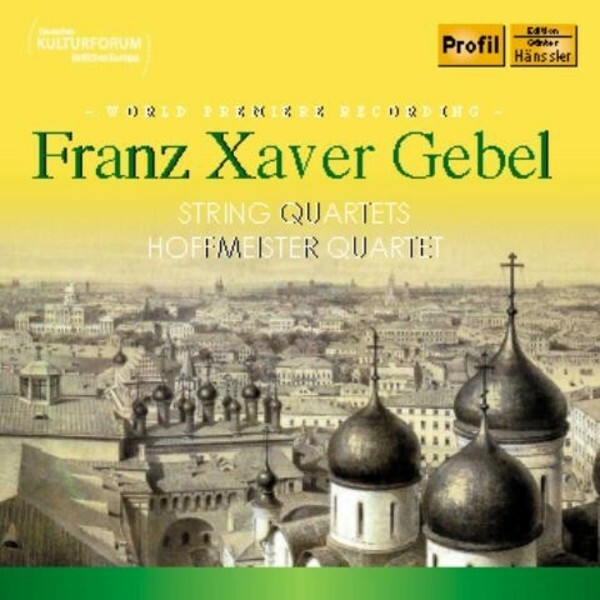 The Gebel biographer, Ernst Stöckl, reported that while there were at least three string quartets by Franz Xaver Gebel, he was familiar with only one of these, the Quartet in D major, which appeared in Peters publishing house in Leipzig in 1817-1818. Stöckl was unable to find any of Gebel’s later quartet compositions mentioned in contemporary discussions about concerts, despite persistent research and requests in Russian libraries. Thus it was a real stroke of luck when we discovered the printed music of the previously unknown Quartet in E-flat major. The sheet music, which was printed in Moscow around 1840, was found in the City Library of Hanover.